Most people will need to have a filling over the course of a lifetime. Some lucky patients will never have a cavity, but they are the exception. When you need dental fillings, it’s time to visit your trusted dentist in South Daytona, Dr. Sean Bannan. He provides tooth-colored fillings for patients of all ages at Water’s Edge Dental. 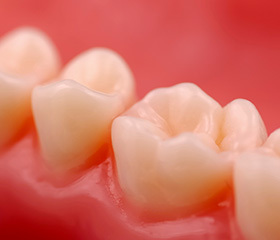 A cavity, or dental caries, is a hole in the tooth enamel created by tooth decay. It occurs when the acids and sugars in what you eat combine with the bacteria that is naturally present in your mouth. If it is not treated early, tooth decay will continue to eat away at the tooth enamel. Once it has reached the interior, or the pulp of the tooth, a filling is not enough to restore the tooth and you will need root canal or, in the most severe cases, tooth extraction. Early detection of cavities ensures that your dentist can provide the most conservative treatment possible. 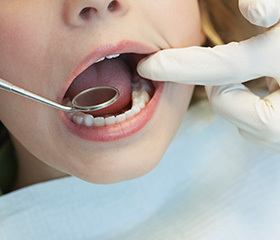 A filling fills in the cavity left by tooth decay. 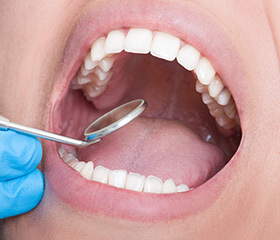 Dr. Bannan offers tooth-colored fillings for patients of Water’s Edge Dental. Made out of natural-looking composite resin, the tooth-colored filling provides a wonderful alternative to amalgam, or silver, fillings. Your dentist removes all decay, sanitizes the area, and places composite resin in the hole. The filling is completely dry within minutes under the application of a special UV light. Traditional silver fillings, by comparison, take up to 12 hours to harden. Who’s the Dentist Near Me for Tooth-Colored Fillings? Conveniently located right on S Ridgewood Avenue, you don’t have to go far for the restorative dental care you need in South Daytona. Dr. Bannan and the team at Water’s Edge Dental provide tooth-colored fillings with a blend of artistry and expertise. 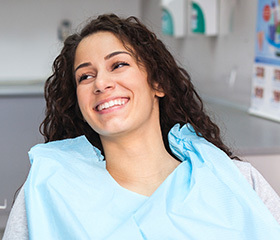 Tooth-colored fillings are performed in just one visit to the dentist’s office, so you’ll be in, out, and on your way with a healthy, restored smile in no time. Regular visits to our office are an important factor in cavity prevention, but you must also stay on top of your hygiene habits at home. Brush your teeth for two minutes, twice a day, and floss your teeth daily. Make sure you are using a toothpaste that contains fluoride for maximum cavity prevention. One that is approved by the ADA is guaranteed to contain the mineral. If you need dental fillings in South Daytona, it’s time to visit Dr. Bannan at Water’s Edge Dental. Don’t let that decay get any worse -- contact us to schedule an appointment with our team today!